Can Coconut Oil Help Manage Crohn's Disease? What Are the Health Benefits of Fenugreek & Thyme? Native to Asia and Africa, Moringa oleifera belongs to the Moringacea family. It is known by many names, such as horseradish tree, drumstick tree and kelor tree. All the parts of the Moringa plant -- gum, fruits, leaf, bark, root, seed and seed oil -- have been used to treat various diseases, including cardiovascular disorders, gastrointestinal disorders and inflammation, reports a review article published in the journal “Phytotherapy Research” in 2007. The extracts of the leaves and seeds of the Moringa oleifera plant contain compounds that exhibit anti-bacterial properties. According to a study published in the June 2010 issue of "Bayero Journal of Pure and Applied Sciences," Moringa leaf extract inhibited the growth of food-borne microorganisms such as Staphylococcus aureus, Pseudomonas aeruginosa, Enterobacter aerogenes and Escherichia coli. Moringa oleifera seed extract was effective only against E.coli and Salmonella typhimurium, however. The seed extract also prevented the growth of fungal species -- Mucor and Rhizopus species. 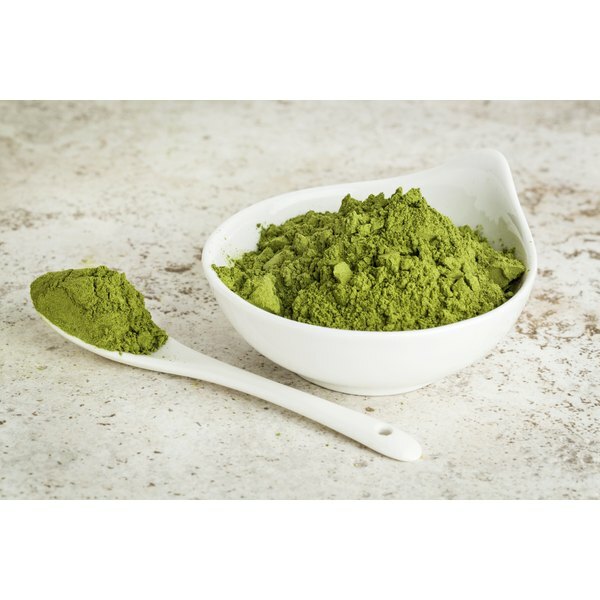 Moringa oleifera plants can help keep your blood pressure and cholesterol levels down. According to the 2007 article in the “Phytotherapy Research,” Moringa leaf extracts have been shown to exert a stabilizing effect on blood pressure. Moringa leaves contain substances, such as thiocarbamate glycosides, nitrile and mustard oil glycosides, that help lower blood pressure. The same study reports that B-sitosterol, a bioactive phytoconstituent found in Moringa leaves, may help maintain healthy cholesterol levels. Furthermore, Moringa fruit has been found to reduce low-density lipoprotein, triglycerides and cholesterol in rabbits with abnormally high cholesterol levels. Eating a healthy diet helps your liver to perform all of its functions well. In contrast, a high-fat diet can cause fat to build up in your liver tissue, leading to multiple health problems. Moringa plants can help reverse the liver damage done by unhealthy foods. A study published in the June 2012 issue of “Indian Journal of Experimental Biology” found that Moringa oleifera leaf extract protected against liver damage in mice fed with a high-fat diet. Furthermore, Moringa oleifera flower extracts were found to have liver-protecting activities, notes the 2007 review published in “Phytotherapy Research.” The presence of a quercetin, a flavonoid, may be behind these beneficial effects, researchers say. A study published in the “Indian Journal of Pharmacology” in January 2008 investigated the effects of seed kernels of Moringa oleifera on bronchial asthma, a long-term lung disease that inflames your airways. In the study, 20 patients with bronchial asthma were treated with 3 grams of powdered, dried seed kernels for three weeks. The results showed a significant improvement in asthma symptoms and a notable reduction in asthmatic attacks. No side effects were observed. This led the researchers to conclude that Moringa plants are useful in treating bronchial asthma.